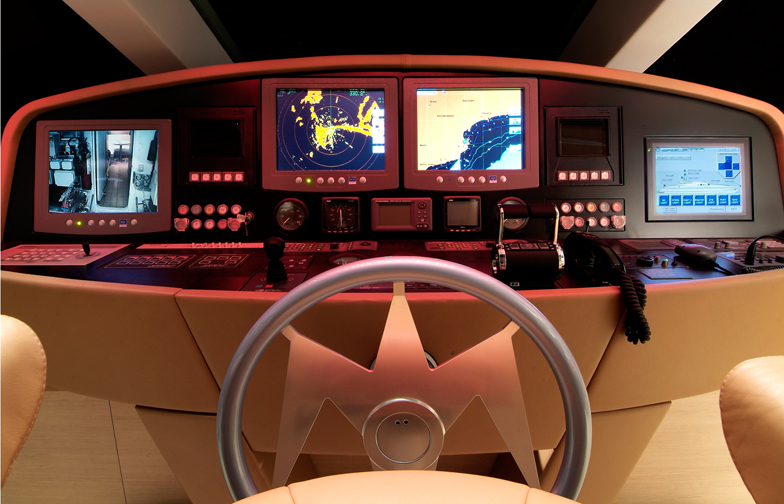 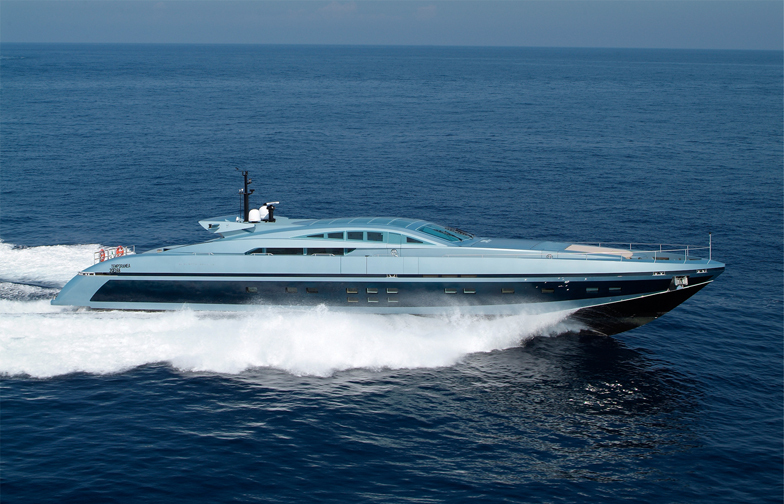 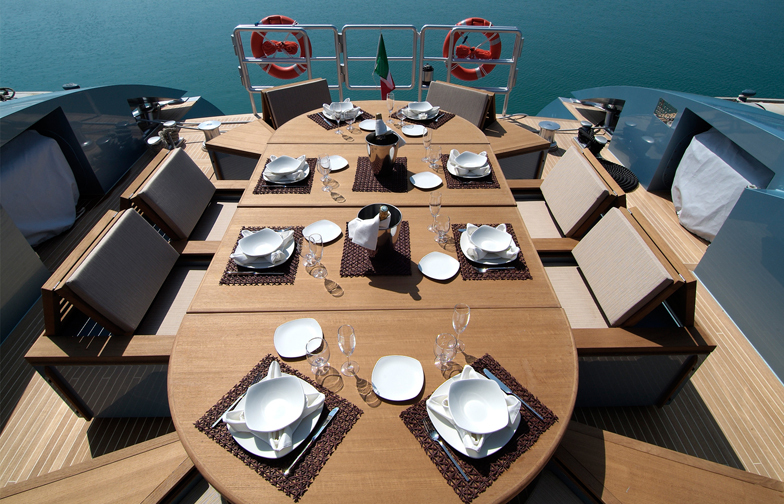 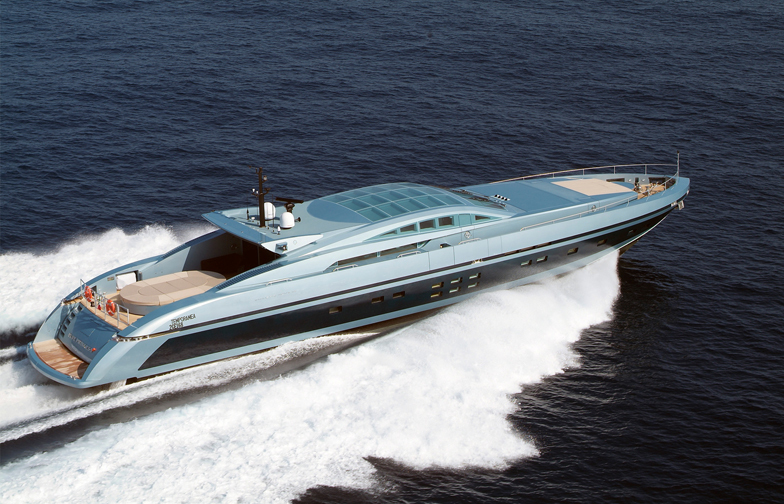 The Blue Princess Star won the World Superyacht Award 2006 in the categories “Semi-Custom M/Y - Open/Sport Cruiser Division” and “Exterior Stylist of the Year”. 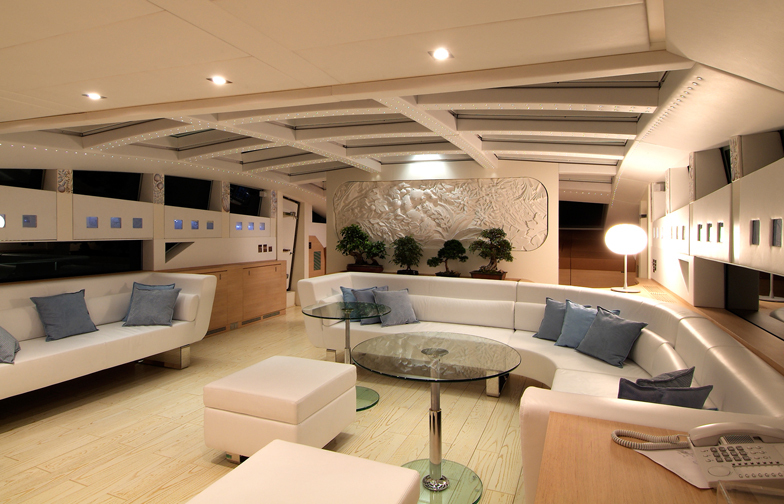 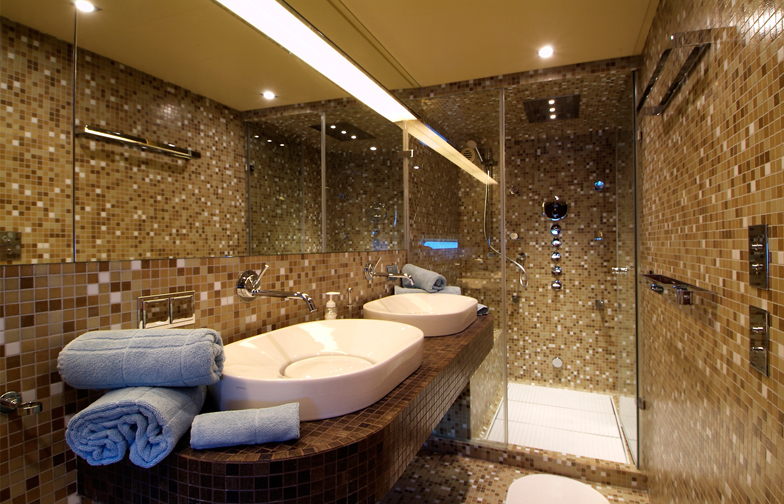 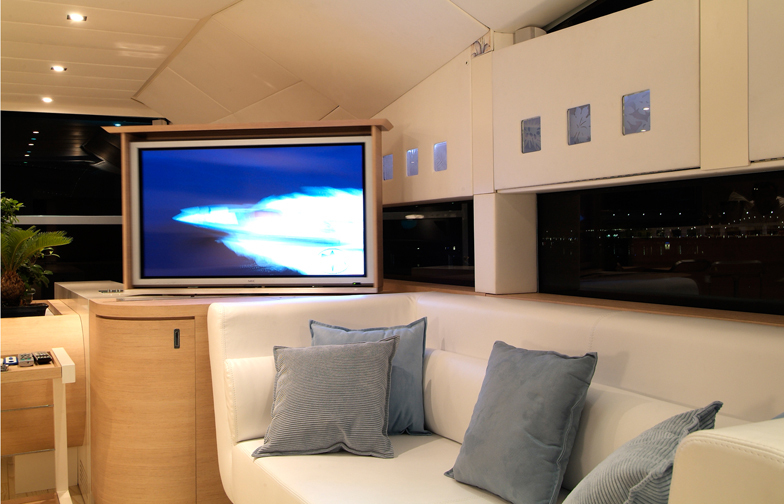 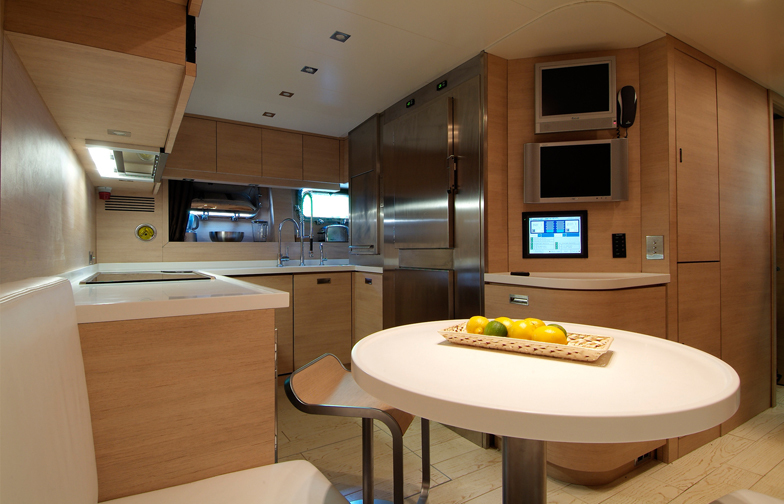 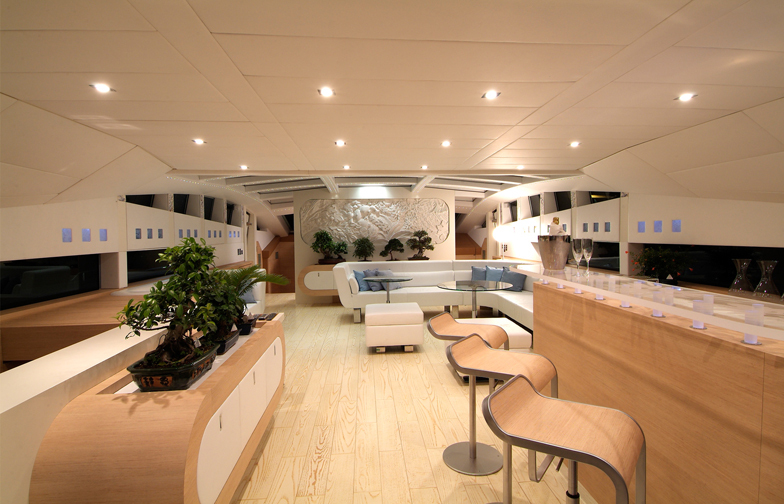 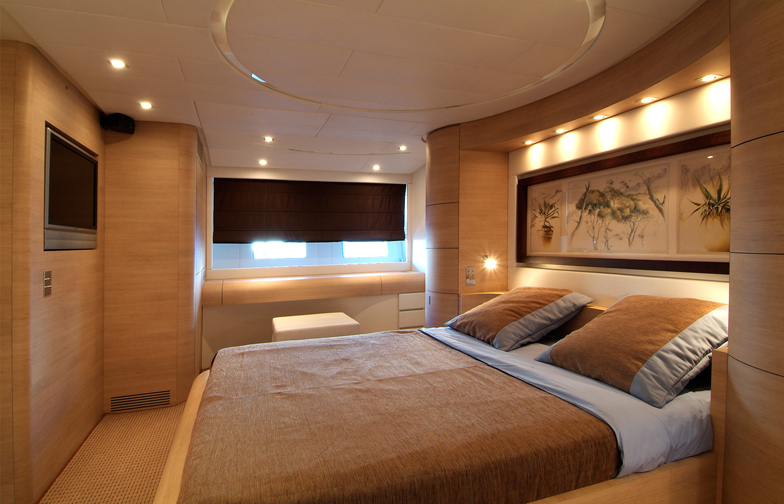 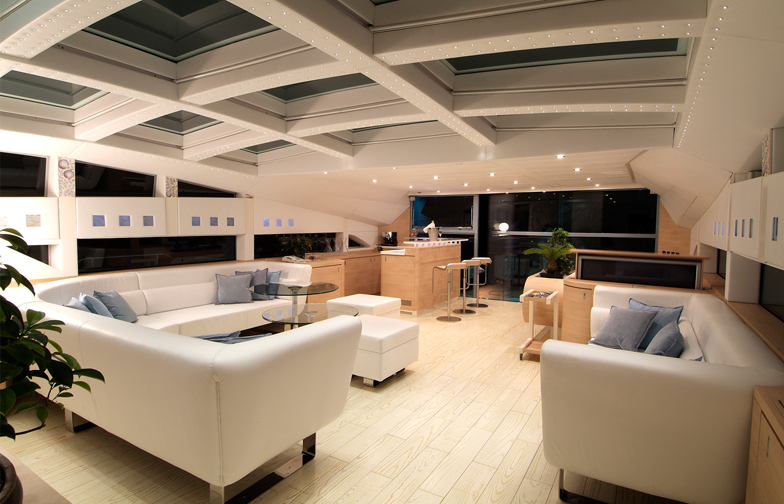 Her large main saloon with soft and light colors is bathed in light. 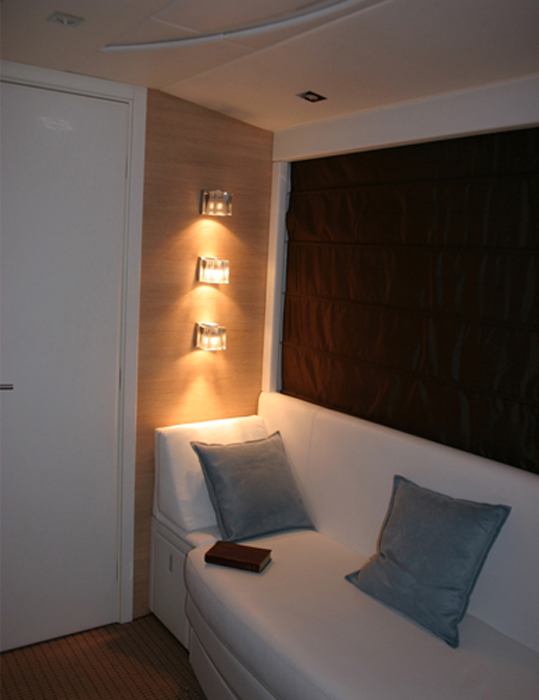 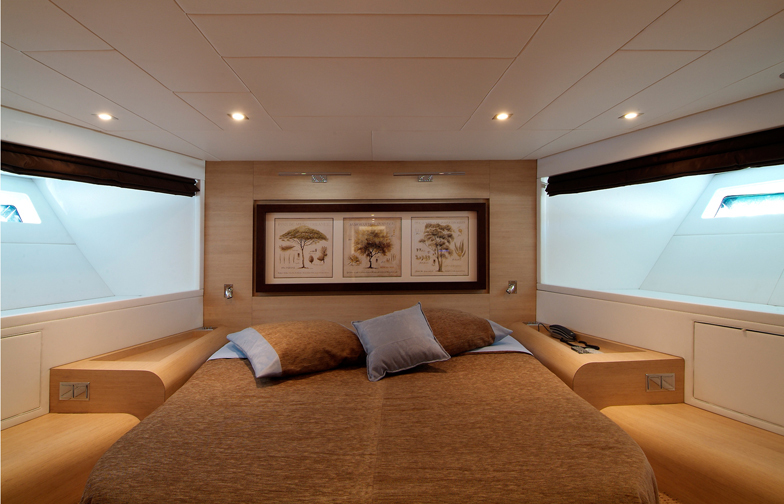 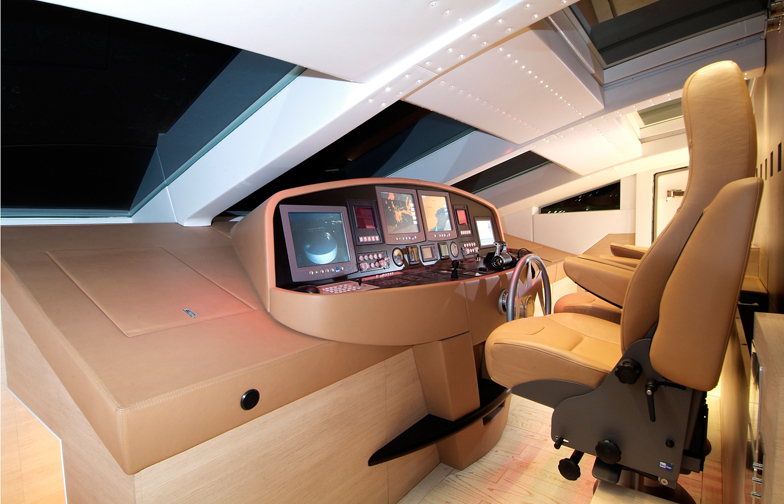 The use of white clear joints of the outdoor deck in harmony with the inner light wood floor creates continuity between outdoor and indoor and increases the size perception of the boat. 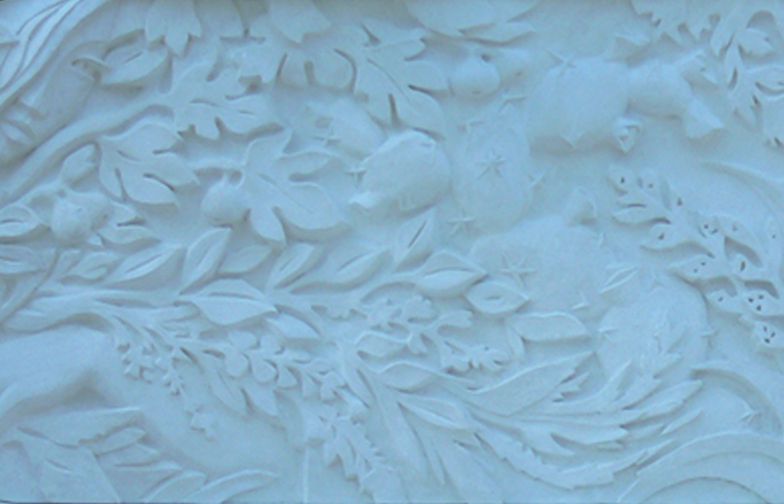 The visible earthly presence with bonsais is enhanced by Mediterranean floral patterns, this developed in different mediums such as a dramatic white bas-relief.